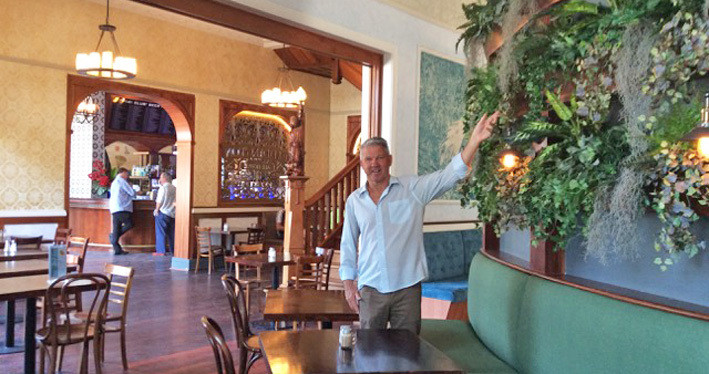 Perth icon the Paddington Ale House has hit the market, as long-time operator Neil Randall enters a new phase of life. The handsome two-storey Mount Hawthorn pub was built 1932 on a large corner block on Scarborough Beach Road, with trading area of 1,676sqm and licensed for 520 patrons. Today it is directly opposite a Woolworths-anchored shopping centre. West coast footy legend and pub industry stalwart Neil Randall bought into the operation back in 1989 with business partner Michael Monteleone, taking sole ownership in 1994. The lease ended and came up for sale early 2014, and Randall fended off stiff competition to purchase it again. The following year he executed a major makeover of the heritage-listed pub, bringing a modern look to the interiors to appeal to a greater demographic. “The Paddo must keep up with the trend by doing a major refurb, which is going to bring the old girl back to her halcyon years of not so long ago,” the former Subiaco and South Fremantle player told PubTIC at the time. The lease has now again come up for sale, and eying more time on the other side of the bar, Randall’s headed to the beach. Randall hopes the Perth hospitality scene gets a boost from the mining industry, which he believes is “starting to pick up again”. A new leasehold interest at the Paddington Ale House is being marketed through CBRE Hotels’ Ryan McGinnity and Chloe Mason, with the private freeholder looking for a new long-term operator. The pub offers a public bar, restaurant and alfresco dining on ground level, and accommodation upstairs, four kilometres from the Perth CBD. Mount Hawthorn is a suburb of the City of Vincent, along with North Perth and Highgate. Population in the area is predicted to increase over 30 per cent in coming years. 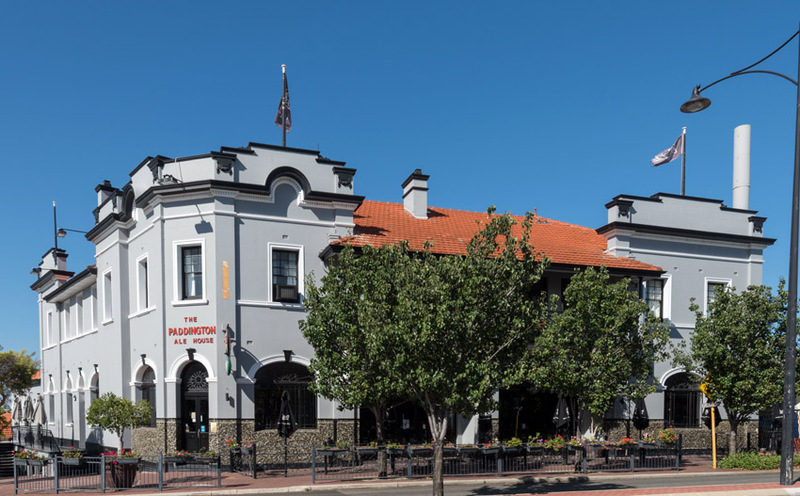 “The Paddo is a Perth institution, being one of the city’s most well-frequented hotels over its 87-year existence,” says McGinnity. The Paddington Ale House leasehold is being offered via Expressions of Interest, with terms subject to negotiation, closing Tuesday, 12 March.